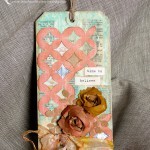 Today I’m sharing a new tag inspired by Tim Holtz’s 12 Tags of 2014 project. 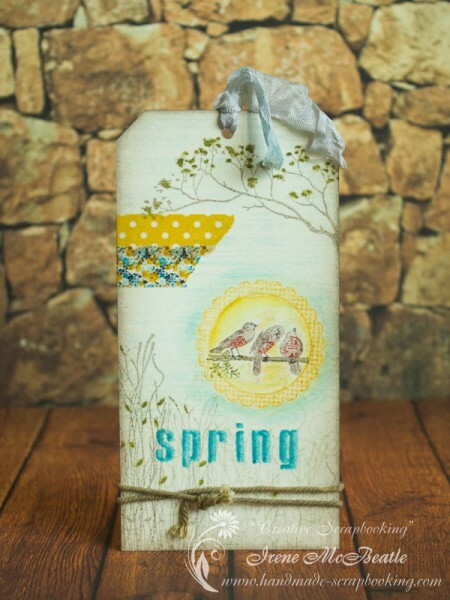 It is the tag for March, the first month of spring. It is unusually warm and nice in Moscow for the beginning of March. Spring begins early this year. I enjoy these sunny days very much. 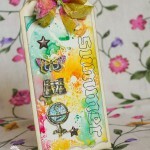 The tag is inspired by Tim Holtz’s 12 Tags of 2014 – March project. 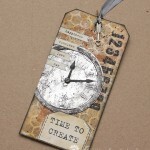 I used as many stamps by Tim Holtz as I could. 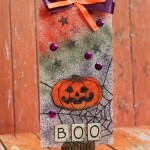 Everything is stamped with Distress Ink Pads with a touch of Distress Markers. 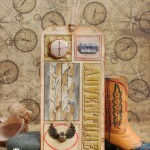 I like the result, especially the soft look of the background.